William Schabas, a Canadian academic living in the UK, was appointed last August to head the UN Human Rights Council’s three-member team to probe the circumstances of the Operation Protective Edge and allegations of war crimes committed during it. 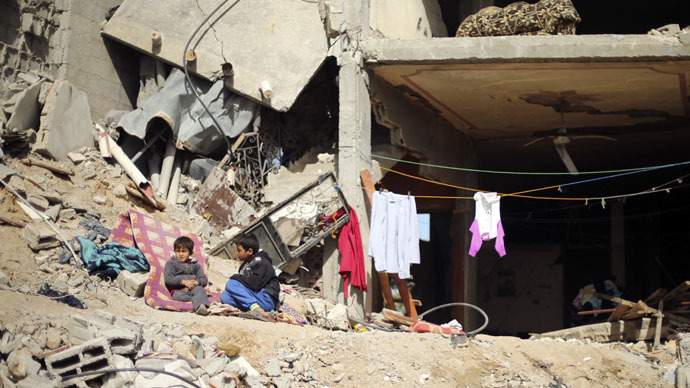 Some 2,200 people, most of them Palestinian civilians, were killed in the conflict. His candidacy however met fierce resistance from Israeli officials, who accused Schabas of being anti-Israel. “If any other evidence of this was needed, appointing the committee’s chairman, whose biased opinions and positions against Israel are well known, proves beyond all doubt that Israel cannot expect justice and that the committee’s report has already been written,” the Israeli Foreign Ministry said at the time. In a letter to the UN commission, Schabas would step down immediately to prevent his past links with the Palestinian Liberation Organization from overshadowing the probe report, reported Reuters. Back in 2012 he wrote a legal opinion for PLO and received $1,300 for the job, he wrote. But he insists that his advice was no different from that he gave to other organizations and governments. "My views on Israel and Palestine as well as on many other issues were well known and very public," the letter said. "This work in defense of human rights appears to have made me a huge target for malicious attacks (...)." Foreign Minister Avigdor Lieberman said he didn't expect the report to be affected, but hailed Israeli diplomacy for causing the resignation to happen. "Even the biggest hypocrites in the international bodies cannot ignore that having Schabas investigate Israel is like having Cain investigate who murdered Abel," the Lieberman said. Palestinian official Hanan Ashrawi criticized Israeli officials for targeting Schabas. "They try to intimidate, they try to slander, they try to discredit, they make it extremely difficult for anybody to take any position that would hold Israel accountable or investigating Israeli violations or Israeli war crimes," she said. The inquiry will proceed despite Schabas’ resignation, UNHRC spokesman Rolando Gomez said. A new chairman may be announced soon as later on Tuesday. After being appointed as commission chair and blasted in Israel, Schabas pledged an impartial investigation. "I can promise you that I am not anti-Israel, but that doesn't mean that I don't have my own opinions about some of the people in Israeli governments over the years,” he told Israel’s Channel 2 in an interview. "The statements were made in a specific context and that's how they should be seen. I have been to Israel several times. I have lectured at universities and I'm on the editorial board of an Israeli journal. I wouldn't have done those things if I was anti-Israel." The commission’s work was obstructed by Israel, which denied it entry into Gaza Strip through Israel in November. But while no official cooperation with the investigation came, Israel handed over what it called comprehensive evidence of Hamas war crimes committed during the conflict. Amir Oren, senior correspondent and columnist for Haaretz, says there are three aspects behind Israel's position towards the resignation of Schabas. “One is national policy where Israel always tries to block such inquiries," Oren told RT. "The other one is tactical and Israel has tactically managed to get the German off the Commission. He has tendered his resignation, but he was really forced out because four days ago Israel gave the UN some information which was not known. And there is the aspect of domestic politics where Prime Minister Netanyahu wants to show his electorate in the March election, a week before the report is out, that he is fighting Israel’s enemies”. By now the team has largely completed gathering evidence and is preparing a report, which it is to present to the UNHRC in Geneva in March 2015.